I can’t believe it has been three years since the Redemption church merger. Even though Redemption has never been a home church for me, I’ve been an off and on attendee since their early days. I love how God uses them to reach all areas of Arizona with the gospel with their multiple church plants. Tonight Pastor Riccardo shared many stories from the past three years of how God has been faithful and good to the church. I got to attend the service for a few reasons. 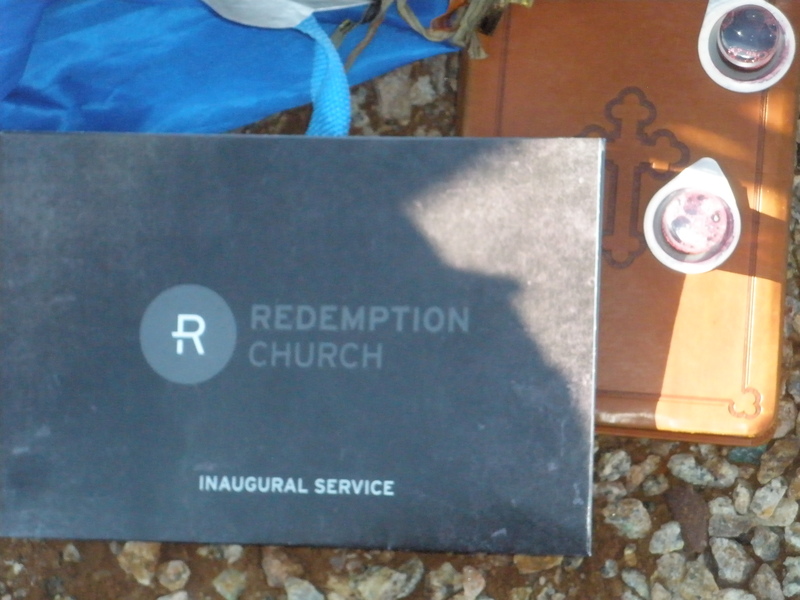 Redemption likes to share God stories of how members of the congregation are being used in the community by God. Pastor Mullins interviewed my ESL director Stephanie on stage about how we are reaching the refugee community here locally in Tempe. Our students are mostly from Somalia and Redemption church oversees our teaching program. 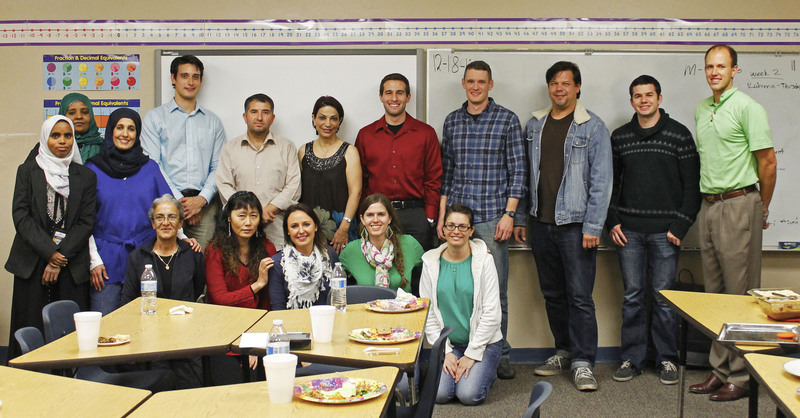 In fact, many of our volunteer teachers are members of Redemption. Teaching ESL has been such a humbling and rewarding experience for me. My involvement came from when God called me to attend a Uzbekistan peace feast in November of 2011. Even though I had no idea why I was meant to go, God opened my eyes to the refugee community for the first time. Soon after I became an english teacher and now here I am two and half years later still teaching. Hearing the story of Redemption church tonight and my own personal story remind me of the Experiencing God study – Watch where God is working and join Him there. Trust me, do that and He will do the rest. But my main reason I attended church tonight is because of the friend I brought. He was an old drinking buddy of mine from back in college. I haven’t seen him in 15 years, yet we are Facebook friends. He reach out to me earlier this week and mentioned life had become purposeless for him. He has been inspired by how I’ve been living my life and wanted to know what it is that kept me going these days. I laugh because I’m such a messy person, but I know it is Christ that He is seeing in me as the Spirit has really been working through my life these past couple years. He just moved to Tempe and I offered to introduce him to Redemption church because they are in the area. We had a great time catching up and I felt for him as I have been in that place of searching for significance many times in my life. I spent most of my night praying for him at church and was excited for him to hear the God-stories they were taking about from the stage. I pray that God grab a hold of him and that he becomes another God-story that will be shared to others someday. I’ve been through church crisis one too many times. The longtime head pastor of my church that I grew up in passed away due to cancer. Our popular youth pastor was fired abruptly because the new pastor that came in wanted a whole new staff in place. My good friend became an intern for our church (after just becoming a believer) and had an affair with one of the staff members. He took his life soon after. The accountant at my last church embezzled almost half a million dollars. My current pastor had to resign due to extramarital affairs. Yes… the church experiences death, scandals and affairs just like the real world. I must note that in most of these situations, the church handled them very poorly (something I’ve experienced personally as well). But how are we doing as Christians in handling these situations? Do we deal with those caught in sin in a loving way? Do we restore them gently back to Christ with the truth of the gospel? Do we act Godly when the media tears into us or do we get defensive and attack back? All I know is Satan loves to attack the church when things are going well. All the situations I described above happened when the particular church I was at was at their peak and experiencing tremendous growth. We forget that when we became Christians that Christ warned us that we would face persecution. One of the things I know is that Christians today do not handle persecution well. Look at the Chick-fil-a and Duck Dynasty situations and see how defensive Christians get when our views are spoken against. I’ve been embarrassed how Christians have reacted in the media about gay marriage and other topics that go against our beliefs. Do we not trust that God will ultimately prevail? God works during times of despair. He redeems and restores and takes these situations and uses them for his glory. The church isn’t perfect and it isn’t about one man or a building. It’s a living organic body of messy believers that come to together to grow and worship our Lord. We treat Pastors like rock stars and put them on a pedestal so high they could never meet the expectations we put on them. Pastors are just messy people being used by God. But God isn’t going to let his church fall. He is still faithful even when we are unfaithful. 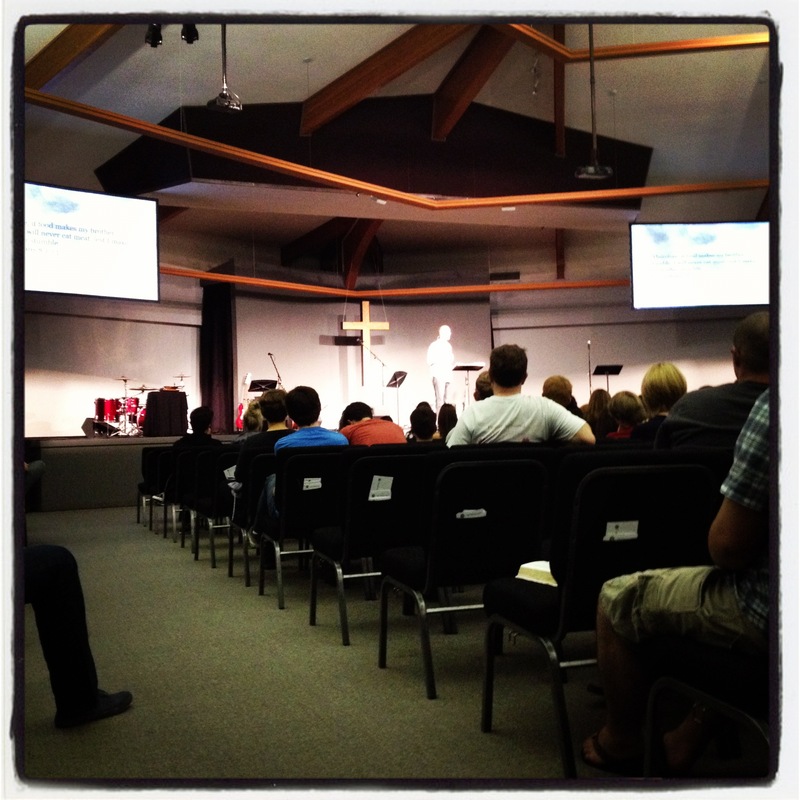 I have been impressed with my current church and how they have handled our current crisis. They are doing it in a loving biblical way. My last two churches were clueless in dealing with people caught in sin and usually let them leave without any restoration. When I heard the news in church, the first thing I did was look at myself. I took this as a warning sign that I myself am a step away from falling into temptation and sin. I am thankful for my community and that I can come to them about anything that I may be struggling with. I am thankful for my church and that God called me to be here during this crisis so I can see firsthand his redeeming power at work. I remember when my last church was going through its scandal, I was quoted in the paper at that time by saying “God is bigger than this”. My viewpoint is still the same – God has got this and He will prevail. I really enjoyed seeing many of the Olympians in London give God praise and honor for their victories. Many did this despite being on a big stage with a huge television audience. As Christians, God puts us all in positions to share our testimony or witness to others. This morning I got up and heard Christian music in my living room. This guy that is staying with me was on his knees with his eyes closed and hands in the air. At first I though it was a bit too much, but then I immediately felt conviction. How often do I praise God like this? I got my heart straight with God at church and gave him thanks for putting this guy in my life to encourage me in my own walk. I got on Facebook briefly tonight and saw this picture all over the place. It was like a huge celebrity showed up in town. A guy named Paul Jr was speaking at my old church. I will be honest with you.. I don’t know who this guy is. But there were enough people at a church excited about this guy that I felt I should know him. Apparently Paul Jr is a new Christ follower and he has a great testimony. I think he appeals to bikers and to those who don’t know Christ that watch his show – God will use anyone to share the gospel. But I would be a hypocrite if I didn’t admit I don’t always see the “attraction” model of church and their ways of reaching the community as effective. Western churches and the mega church have become a big thing here in the U.S. It fits todays culture of serve as many people as can. The “attraction” model church believes in luring as many people through the door (advertisement, billboards, guest speakers, etc) as you can and hope somewhere within an hour service (but not too much than that because we wouldn’t want to bore people) someone will hear about Jesus. Now I don’t have a problem with preaching to the masses. Jesus did it and Peter preached a sermon that saw thousands come to Christ. I have been to crusades that many came forward and received Christ. But the problem comes with discipleship and the process of sanctification. I personally see the ‘attractive’ model as giving only a prelude to the what the gospel can truly do for someone who desperately needs Christ. Very rarely do you see much put into growing the members of their church within their ‘programs’. I’m not bashing the church today. I attended a mega church for years and spent most of my Christian walk comfortably sitting behind the church walls waiting for people to walk through the door to witness to. I bought into this and saw churches with small attendances as ineffective. But today I have seen more effectiveness in my own witnessing outside the church in the community. Churches today scratch their heads at the lack of tithing. They want to know why Christians have a higher divorce rate and why we put more effort into our accomplishments at work than in our time with God. They see the numbers grow but they aren’t seeing the maturity. Are churches today putting too much time and effort in their gimmicky flashy ways of talking about Jesus and not enough in the A to Z gospel sanctification process? Is the gospel message not attractive enough? I’ve always been cautious of throwing immature Christians in the spotlight (especially celebrities) to be the God story of the week – even though their stories can be inspiring. What happens when our golden boy spokesman Tim Tebow that we created blows it someday? Then the non-believers laugh at us and the judgemental Christians annihilate him (and I personally know all about this..). 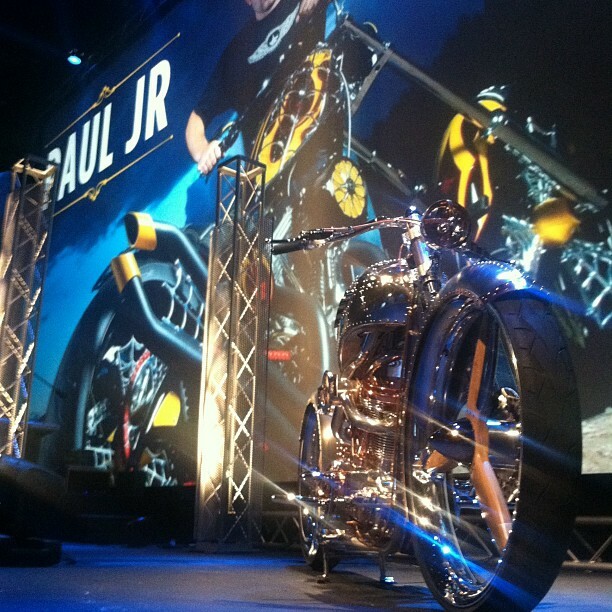 All I know is that I felt Paul Jr and his bikes got a lot more glory and honor than Jesus today (and mainly from Christians of this church that claim to already know Jesus) and I saw a lot of church leaders patting themselves on their backs for the big numbers that came in. True gospel change can be a slow and long process and I personally would like to see more emphasis put into that than smokes and billboards. Broken people need people to walk alongside them and show them love without any judgement. Jesus preached to the masses, but He spent most of His time with the few teaching and training them to be true disciples. These are just questions that come to mind from my own experiences in the flashy church. Despite the ‘great things’ I did and patted myself on the back for, I still ultimately needed Jesus for change. We have a broken world out there with hurting broken people. We as Christians need to go out there and find them, not sit back and wait for them to come to us. Three years ago a friend of mine invited me to Praxis church. 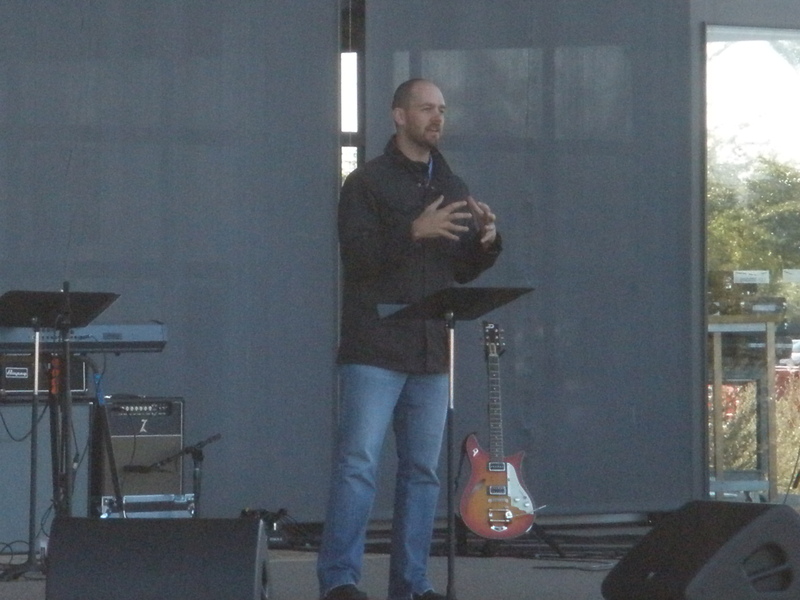 I heard Justin Anderson speak for the first time from the book of Joshua. I loved the expository teaching and I loved the depth of how he spoke (plus his sarcasm). It became my second church on Sunday nights. Praxis church eventually merged with other churches to become Redemption church. Even after the merger, Justin still primarily taught at the Tempe campus. But he is now moving on to San Francisco to start Redemption SF with an amazing team. Tonight in Tempe he spoke his last message from 1 Corinthians 8:1-13. I thank God for this hero of mine and the impact his teaching had on me. In late 2010, Praxis Church and East Valley Bible church made the stunning announcement that they are going to merge their churches into Redemption Church under the Acts 29 network – a church planting network . I have attended the evening service at Praxis church for the past few years and have also taken courses at East Valley Bible church. So this merger is important to me because I have connections with both churches. 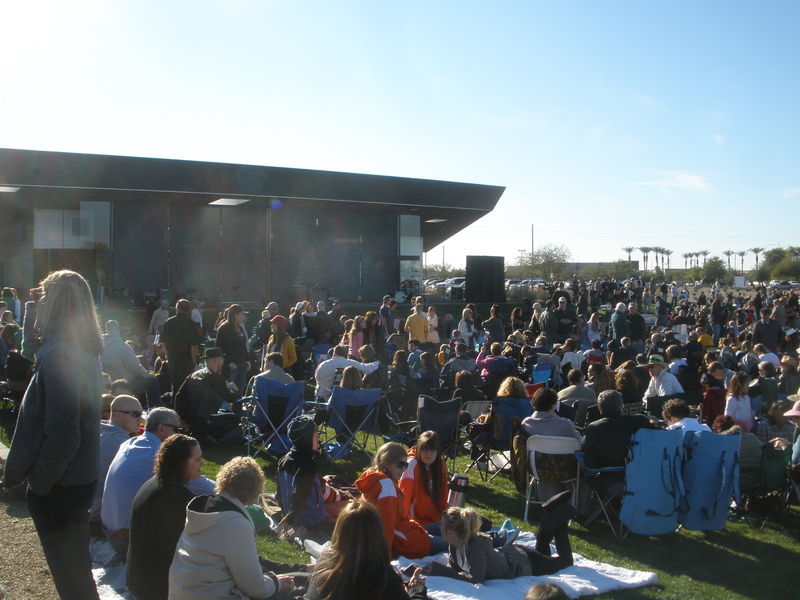 We got to attend the inaugural launch of the church in which they gathered the whole church community on the lawn of what was once East Valley Bible church. Pastor Justin gave an amazing message from Jeremiah 29 about going out into the community. Redemption Church is born out of the conviction that the church unified can impact the world dramatically for the gospel. The vision of Redemption Church is to saturate the State of Arizona with Gospel-centered, Reformed, Missional churches through campuses and church plants. We see thousands of people worshiping Jesus and living out the Gospel all over Arizona, equipped every Sunday with the same message and living out the same values everyday. Here is a video discussing the merger.